I am so happy to say that I am harvesting lots of amazing produce from the garden! The green bean trellis is really taking off! It’s made of a cattle panel and has pole beans planted at the base. 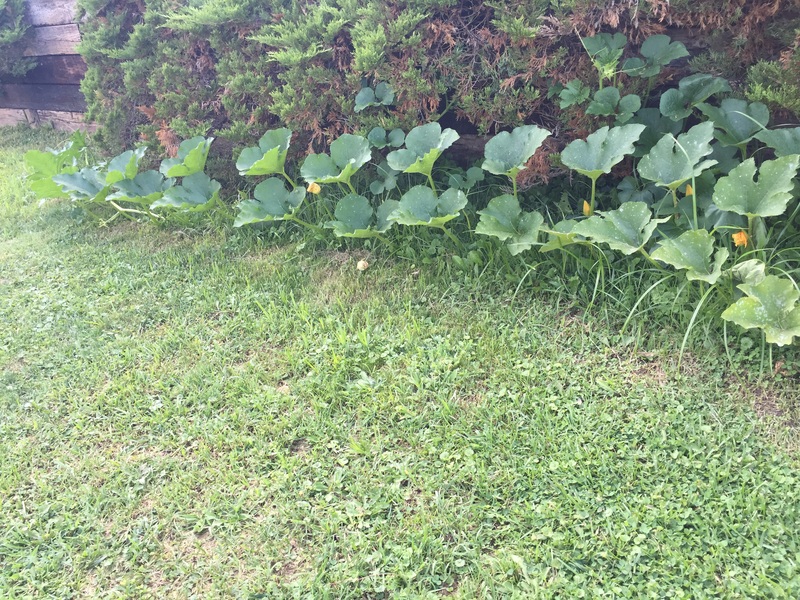 We had an extra pumpkin plant that didn’t have a home, so I planted it down in the yard and it cracks me up how it is growing in a straight line! 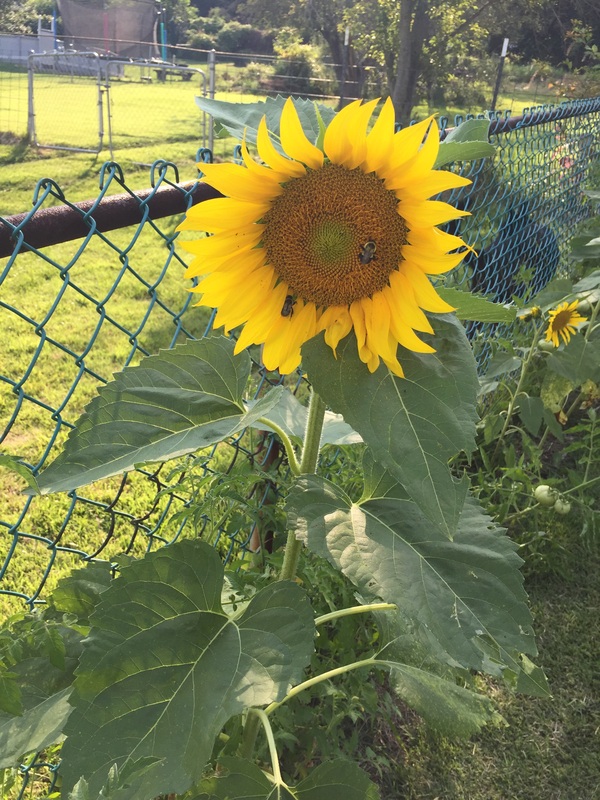 Even though the sunflowers are much smaller than last year’s, they are equally as beautiful! And, the bees most definitely are loving them! Im happy to see that some of the larger tomatoes are finally ripening! 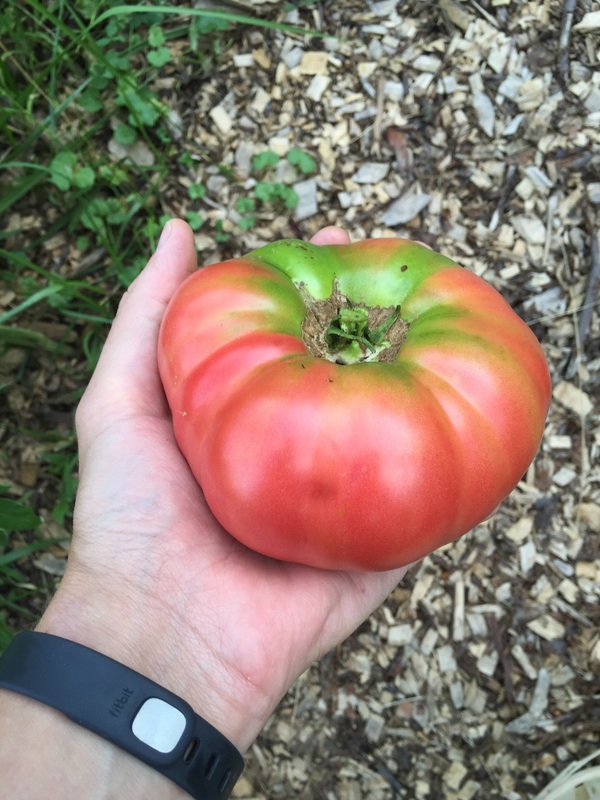 This one is a brandywine tomato and weighs over a pound by itself! I had to pick it a little too soon because something wanted to eat it! 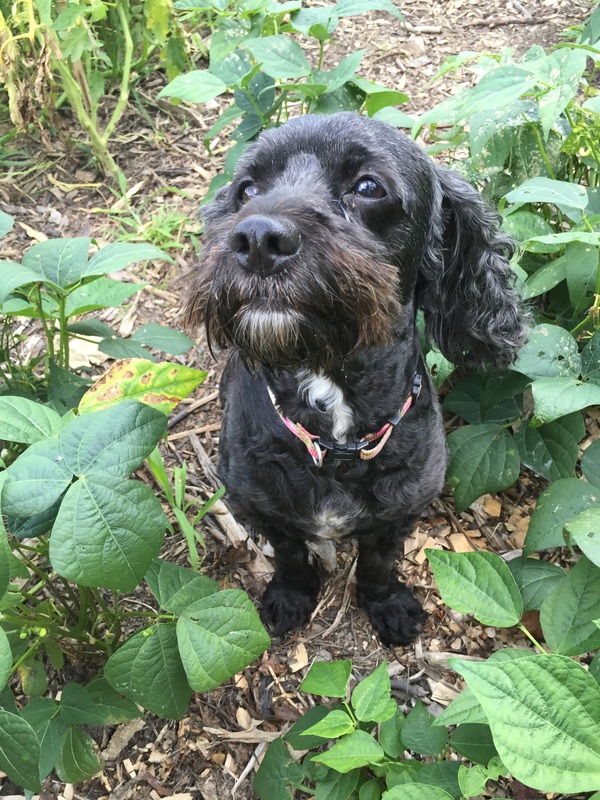 This little beauty is my cockapoo Izzy! She is amazing at chasing rabbits away! Also, she’s amazing at looking stinking adorable in the garden! This is the amazing harvest that I picked tonight! It is well over a pound of beans, plus eggs, a cucumber, bell pepper and a few zucchini! 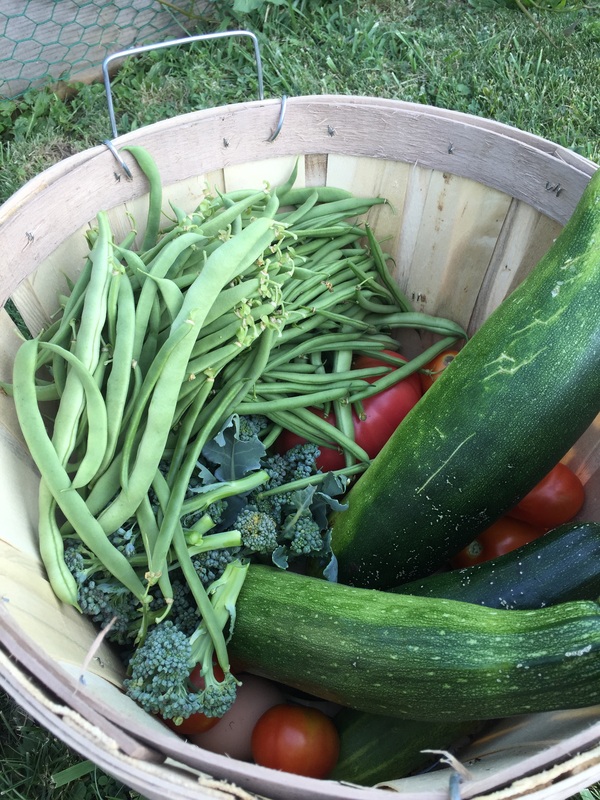 The garden is growing well and providing so much for our family! Hopefully it continues to grow well!! 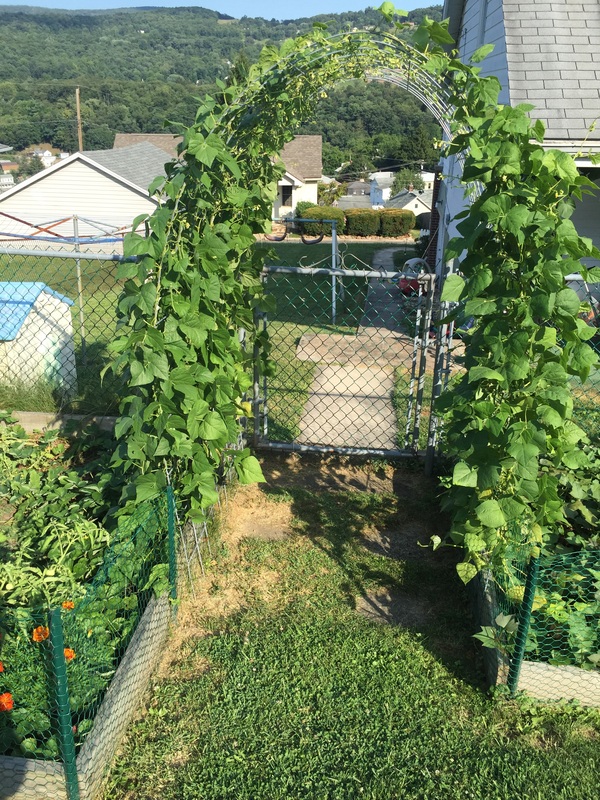 Love that bean trellis, Sarah! Do you have pics from when you built it? Would love to see! Thanks! The trellis was a piece of cake! I will take some closer pictures and show how it was made! Super easy, I promise!